Put my extensive knowledge and experience to work for you! I have only one goal in mind...to make the residential buying and selling process as easy, fun and professional as possible. I'm passionate about my business! Use judyhicks.com as your resource for "Everything Real Estate!" 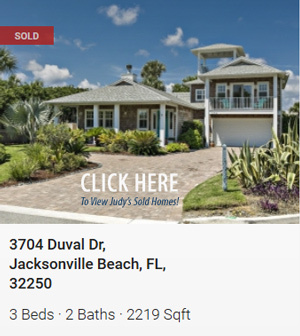 Everyday is a great day to buy real estate in Jacksonville. I'm just a phone call away. Call me today at 904-463-2877 or feel free to send me a text.